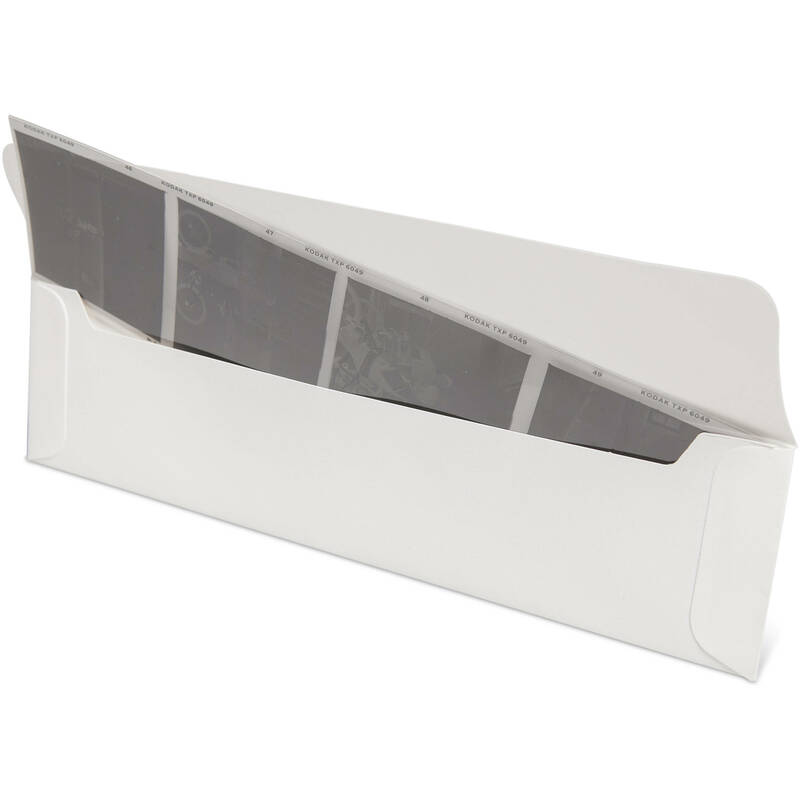 The 50-pack of white 120 Negative Flap Envelopes from Print File is used to store and protect cut rolls of 120-format strips of 4 frames each against dust and scratches. These acid- and lignin-free envelopes are made of a 10-pt. unbuffered white folder stock. They are compatible with and fit the 120 polyester Fold Flap Sleeves. Box Dimensions (LxWxH) 10.7 x 6.7 x 1.3"